Our national quarter-miler, Zubin Percy, Muncherji achieved a double breakthrough at the Big Ten Outdoor Track and Field Championships which was held at Robert C. Haugh Complex, Indiana University in Bloomington, Indiana on 11-13 May. 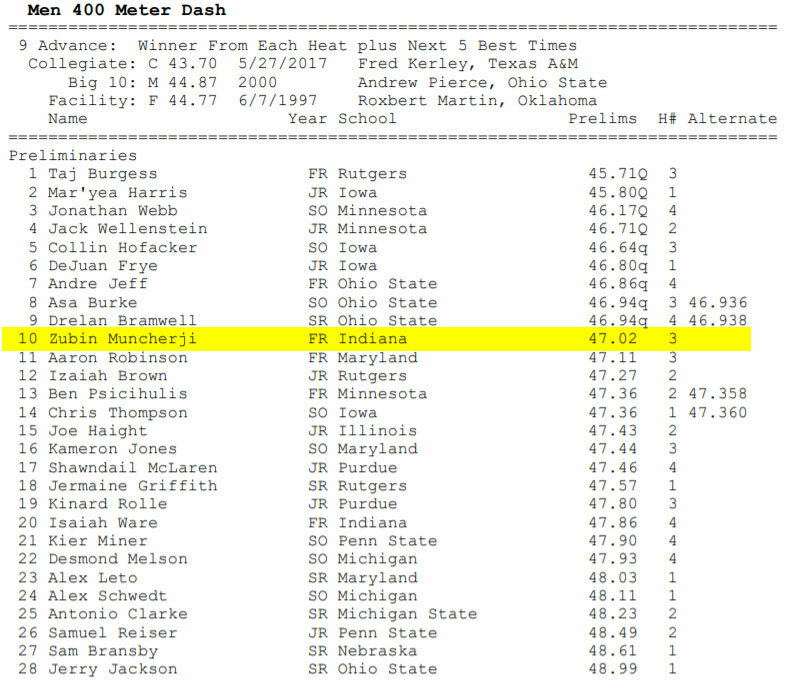 The 22-year-old (Born 1996) who is based in the USA, representing Indiana University smashed his men 400 meters men national record by 0.27 seconds. He ran 47.02 seconds in the preliminary round three of four; that race he finished in the fourth position and narrowingly missing out advancing to the finals. Zubin previous old record mark was 47.29 seconds which was achieved in 2014 at the Asian Junior Championship as an 18-years-old. His second breakthrough was being the first Singaporean to run a 4×400 meters relay that clocked a sub 3 minutes 10 seconds performance. To be precise his team ran 3:09.22 minute, helping the NCAA Division-I tier 4x400m team to a fourth-place finish in the final. 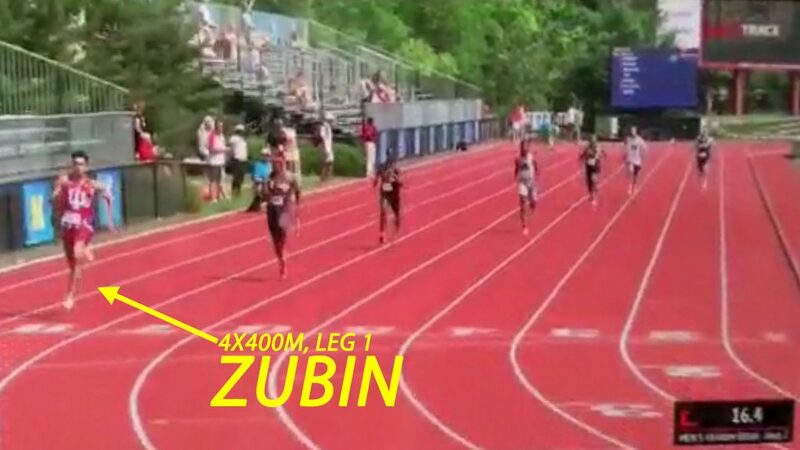 Zubin ran a hand-timed split of 46.6 seconds (HT), running the first leg of the quartet in the most outer lane. Our current 4×400 meters national record, by the way, is 3:10.55 minutes, achieved at 1974 Asian Games. 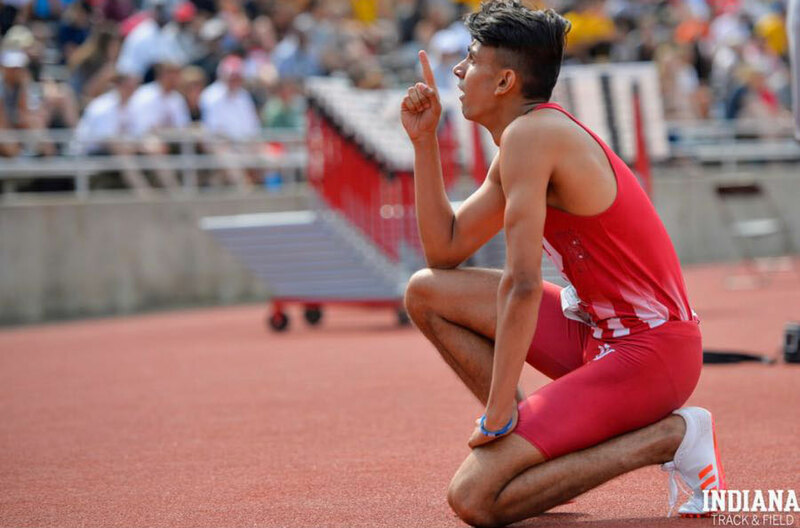 Zubin Percy, Muncherji with his encouraging performances, helped the Hoosier, who was led by Head Coach Ron Helmer to a second-place overall place with 88 points, behind Ohio State which recorded 109 team points.